In a bid to showcase the importance of ICT in education, Elets Technomedia Pvt Ltd organised the ‘World Education Summit’ at Hotel Le Meridien, New Delhi, on Aug 22-23. The two-day conference saw participation from a number of dignitaries from universities, schools, education ministries of various states, and corporates. Highlighting the need of IT in education, an exhibition was also set up, wherein corporates dealing in innovative education solutions showcased their products. 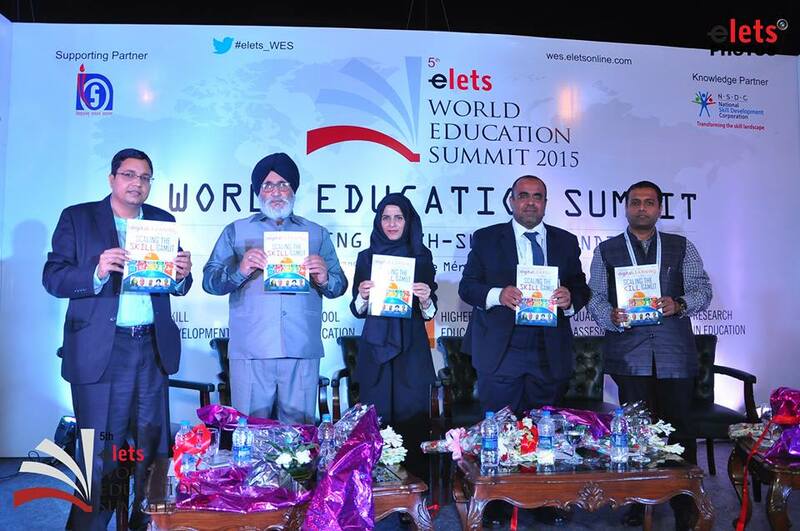 Dr. Daljeet Singh Cheema, Education Minister, Punjab, inaugurated the programme. During his address, he emphasised on improving the quality of primary education to make the foundation years of the students strong. He also congratulated Elets Technomedia for organising the World Education Summit that will bring a change in the mindset of the educationists while interacting with the stakeholders under one platform. The conference was divided into two segments, school education and higher education tracks. In the school education segment, there were principals and teachers from schools all over the country who indulged into debates at few moments while the key speakers on the dais were discussing topics like ‘new trends and technology in schools’, ‘new education policy and educational reforms,’ ‘role of open schooling in skilling India’. 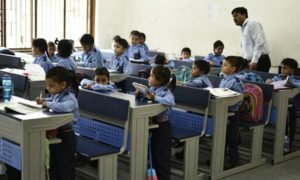 One of the speakers, Lt (Col) Retd, A Shekhar, Principal, Atul Vidyalaya, said- “Pre-school parents are like golden goose.” Arcot G Malathi, Founder and Director, Academics, Smartkidz Educare expressed that children should be given quality time for extra-curricular activities in schools. In the higher education segment, participants like Allan Rock, President, University of Ottawa and Prof Mostafa Azad Kamal, Bangladesh Open University, threw light on the challenges and opportunities in the open distance learning programme and the initiatives taken to deal with it. People from the corporate world came up with their presentations to talk about the better classrooms, e-learning, etc. Varun Suri, Senior Manager, Automotive Aftermarket, Robert Bosch Engineering and Business Solutions Private Limited discussed how with the help of small technical tools, education can be more interesting. 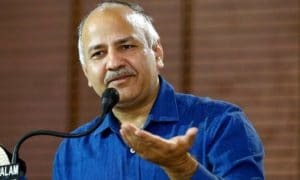 On the second day of the Summit, Manish Sisodia, Deputy Chief Minister of Delhi, also marked his presence at the conclave. He appreciated the effort put in by Elets Technomedia and asked the organisers to come to the Delhi Government with more innovative ideas and suggestions so that it can also help improve the education sector for a better future of students. 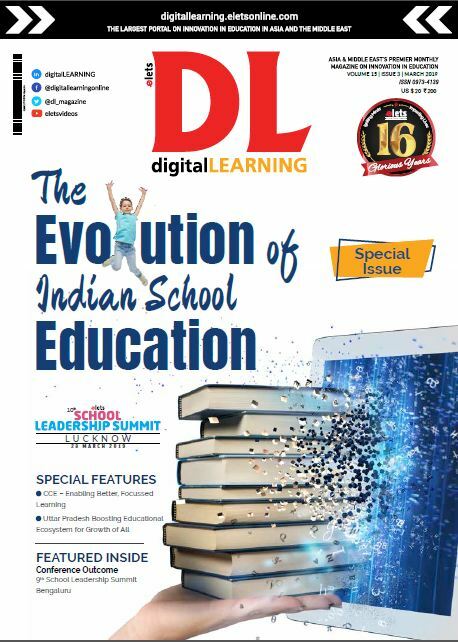 To felicitate the schools and higher education institutes for their IT initiatives taken to make learning and teaching easier, Elets Technomedia also organised the award ceremony on the concluding day of the summit. Sponsors and partners who supported this event led to its huge success. Elets Technomedia had also launched the brochure of Dubai World Education Summit along with Kalthoom Al Balooshi, Executive Director, Education Development Knowledge and Human Development Authority, Dubai and Dr. Abdullah Al-Shibli, The Director General of the College of Applied Sciences, Ministry of Higher Education, The Sultanate of Oman.